As the consumer journey becomes more complex, the way brands generate and nurture leads is also changing. 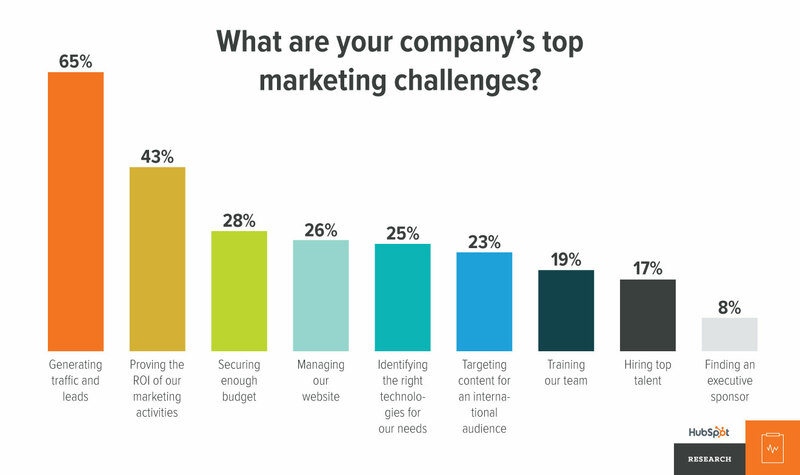 Instead of casting the widest net they can and hoping for the best, marketers focus more on generating high-quality leads and guiding them along the path to purchase. Doing this at scale presents a number of challenges, though. Thankfully, the tools and data sets we have available are also getting more sophisticated with every year that passes. As you’ll see from these 20 insightful lead nurturing statistics and charts, there’s a stronger emphasis on lead nurturing and automating as much of the process as possible. You can’t nurture what you don’t have and this means the first stage of your marketing efforts is still lead generation. 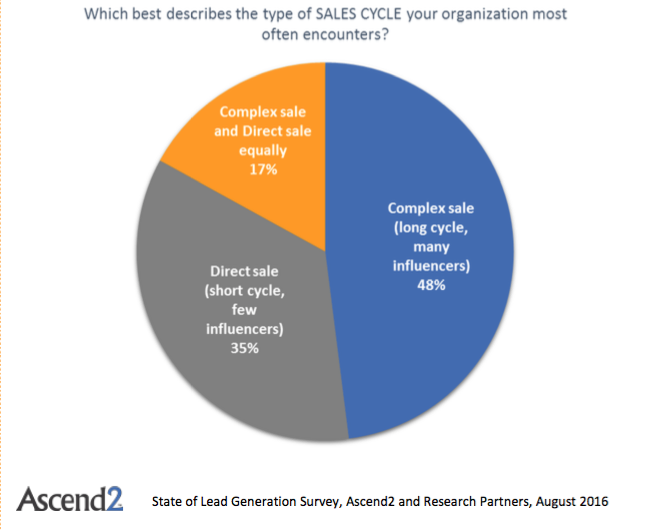 The questions is: what kind of leads are brands trying to generate and how do they get them? One thing that hasn’t changed over the years is that businesses still feel that generating traffic and leads is their biggest challenge. However, the nature of this challenge has changed. There are more touchpoints between consumers and brands than ever, across a growing number of platforms and devices – each one providing an opportunity to narrow down on the kind of leads you generate. Content marketing has gone from industry buzzword to a staple part of brands’ marketing strategies. This stat is particularly interesting coming from B2B companies who are used to generating leads from events, which is still a great strategy, even if you consider it traditional. Of course, content marketing being more effective for your business depends on the kind of content you’re able to produce on a regular basis. This reinforces the importance of successful content marketing but don’t overlook the role of paid advertising in your search marketing efforts – especially when Google continues to put more emphasis on its ads over organic listings. 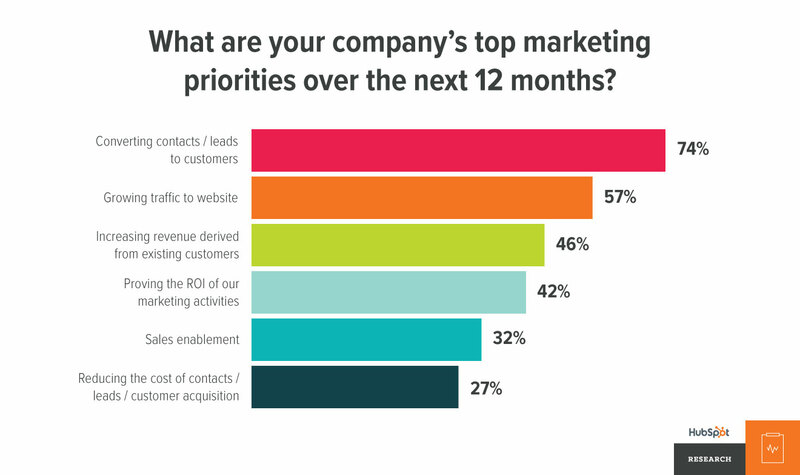 If there’s a stat that highlights the importance of lead nurturing, it’s this one. Getting visitors to your site is only the beginning and you’re missing out on a wealth of business if you don’t have a solid strategy in place to nurture leads along the consumer journey. Many marketers are calling this the end of homepages, where visitors need to be greeted with more specific messages than a generic homepage can offer. 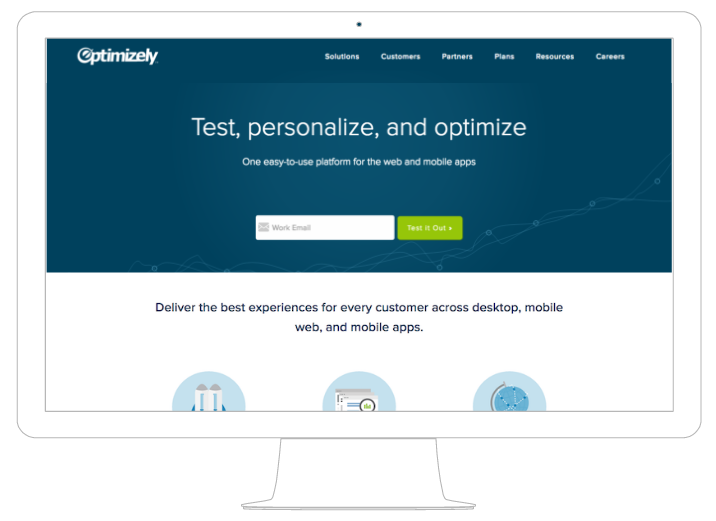 Landing pages are the obvious answer to this problem – and they should feature heavily in your PPC strategy – but we’re also entering the age of dynamic, personalised content with tools like Optimizely and Google Content Experiments. While this stat says a lot, there are a couple of things to consider. First, make sure your priority is always quality over quantity when it comes to blog content and, second, understand that search engines favour unique, detailed content over repetitive/short pieces. You’re still going to generate more leads with 4-5 pieces of great content than producing 11 pieces of crap per month. With a steady stream of high-quality leads discovering your brand, lead nurturing takes the front seat and brands are getting this message loud and clear. The truth is every lead that doesn’t convert, at some point in the future, is gobbling up your marketing spend and this makes lead nurturing a priority for the vast majority of companies. This illustrates how much work you may have to put into nurturing your leads. Those who come with little buying intent at the first interaction require more convincing, but it’s better to put the effort in than let them slip away and make the purchase with one of your rivals. 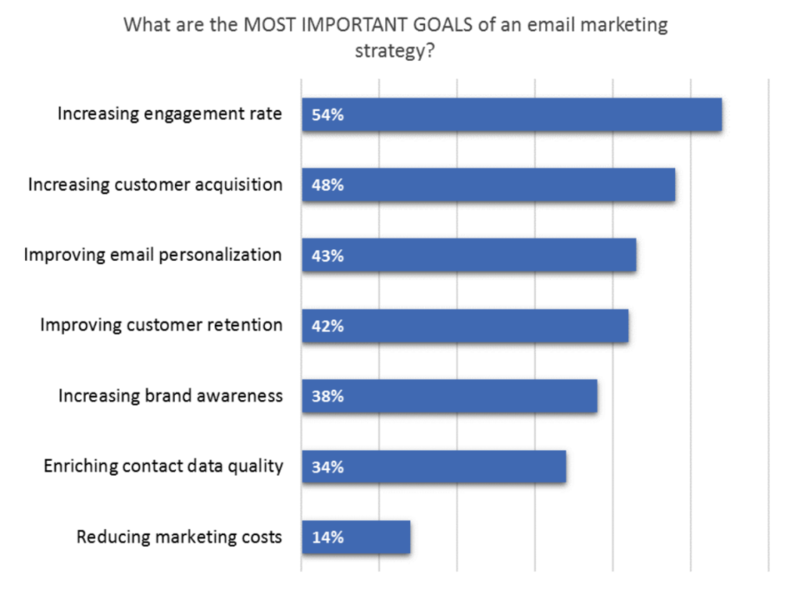 With email marketing playing such a fundamental role in lead nurturing, it’s interesting to see most marketers say that increasing engagement is their top priority. Getting people on your email list is one thing; keeping them on there and actually interacting with your email content is something else. This brings us on to the most important thing with lead nurturing: relevance. Knowing where your prospects are along the buying process and delivering content that meets their current needs (whether it’s ads, web pages, emails or whatever) is by far the most effective way to get them one step closer to buying. 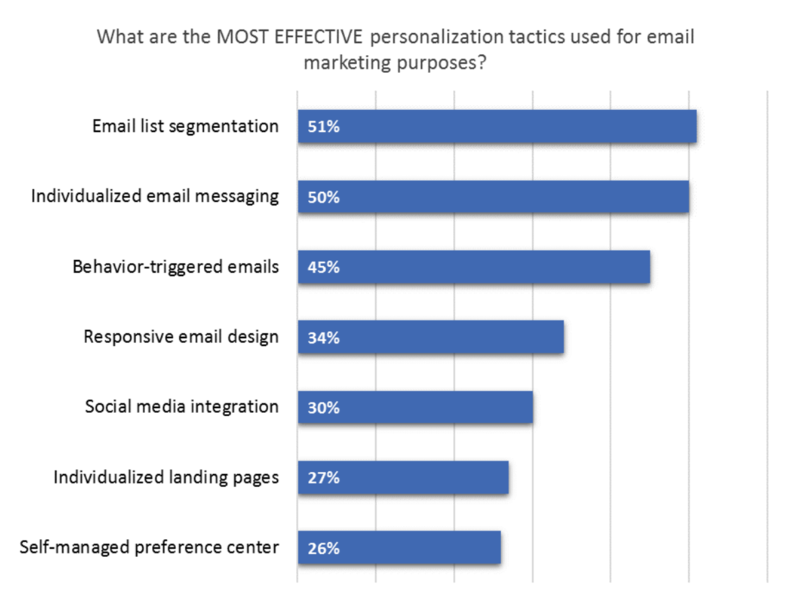 Going back to email marketing – which is one of the easiest ways to automate personalised content – marketers say segmented lists are your best bet for personalising lead nurturing. They’re not wrong. 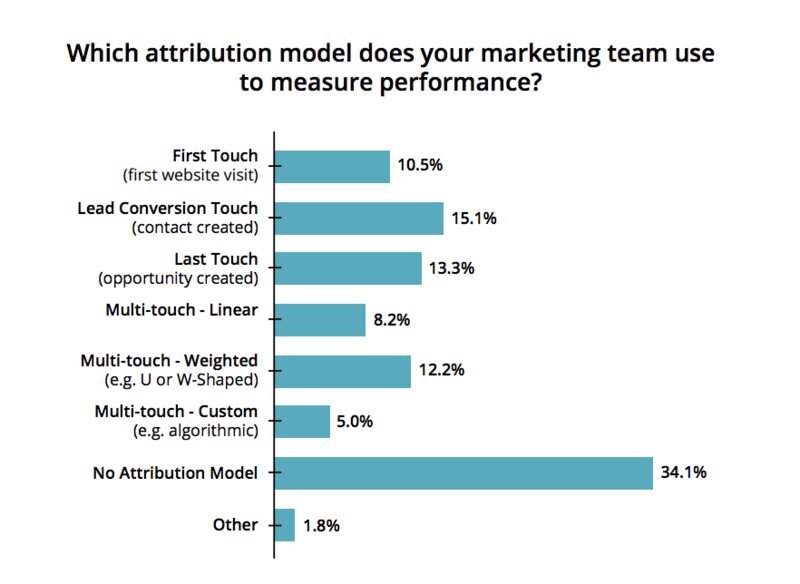 Despite all of this talk so far about lead nurturing and personalisation, 34.1% of marketing teams use no attribution model to measure their performance. This is crazy. If you can’t attribute user actions to their place along your sales funnel, you’re not in a position to nurture anything. While 81% of brands have early-stage lead nurturing tactics in place only 29% are targeting their existing customers beyond the first purchase. I’m not sure if this is more or less ludicrous than the previous stat. 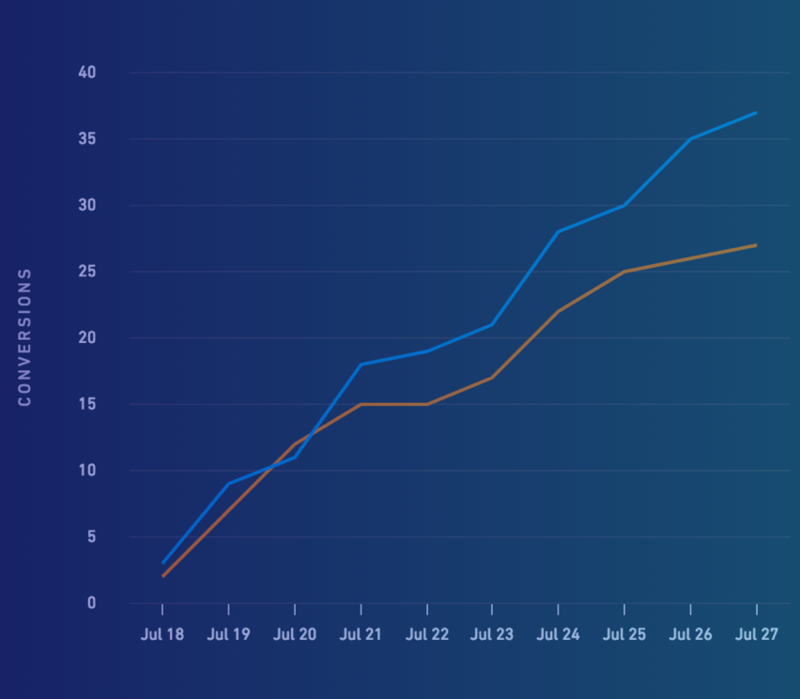 Not only are your existing customers more likely to buy again than new leads, you’ve put in a lot of time, effort and money to get them this far – so maximise your return from every customer. 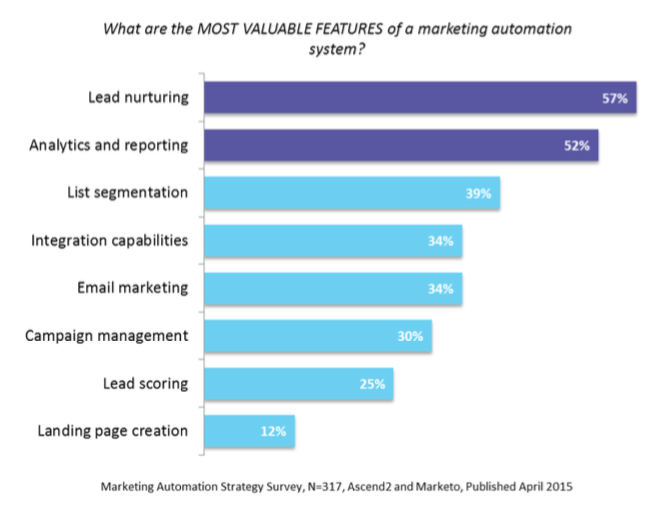 Okay, so lead nurturing is important – we’ve established that. But nothing in the world of marketing happens by magic and nurturing leads on a large scale requires the right kind of tools. Enter automation software. This tells you why brands are investing more in automation software every year. The only way to maximise your marketing ROI is to convert every possible lead you can. But doing this at scale requires automated data collection and attribution. You’re not going to do this manually for thousands of leads per month and, even if you try, you’re wasting time that could be better spent elsewhere. Automation is a bit of a buzzword at the moment but the top-performing companies have been doing this for a while now. It’s essentially a numbers game. Machines can crunch numbers and attribute any amount of leads in an instant – not only allowing you to maximise the number of leads you can handle but also free up time to focus on the more creative and personal sides of your marketing strategy. I’m not the only one who thinks automation software’s greatest gift is time. You can always find ways to increase your marketing ROI but there are only 24 hours in each day, no matter what you do, and handling any task that could be automated is a waste of time – your most valuable asset as a brand. 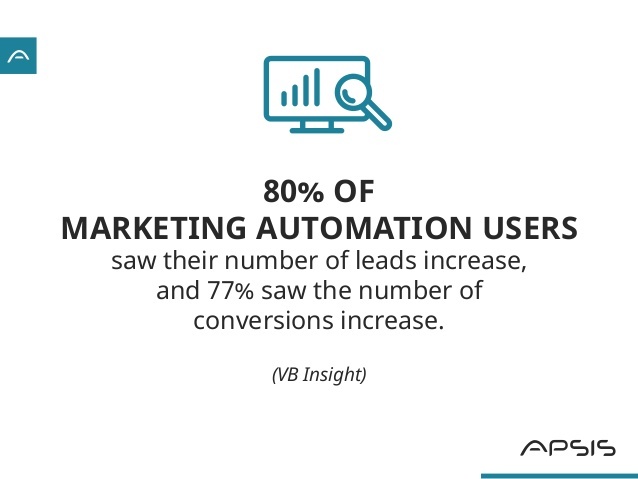 One key benefit of automation that hasn’t been mentioned in any of our stats so far is how it simplifies multichannel marketing. No need to panic, though – I’ve got it covered. It turns out 91% of marketers would hate to run multiple social channels, email marketing campaigns, advertising accounts and analytics reports, without a solid automation tool. If you’ve tried it, you’ll understand why. Marketers don’t love automation because they’re lazy; we love it because it empowers us to get better results. Multichannel, data-driven marketing simply wouldn’t work the way it does today without these tools. This one could be debated all day long but this stat is a least on the right track. That said, I’d personally argue overall profit (revenue minus expenses) and cost-per-conversion are also pretty damn important. The problem with automation software is they can be expensive, difficult to choose between and complicated to use (especially when you’ve got a dozen or so working together). So it’s no surprise that 63% of companies using automation outsource all or part of it to agencies that have the necessary tools and know-how. There are many things you could take away from these lead nurturing statistics and charts but I would suggest focusing on the need to convert every lead you can and doing it in the most cost-effective way. Every lead takes a chunk out of your marketing budget and each one that slips away is money wasted, but there’s also the challenge of reducing your time/money investment in turning leads into paying customers. This is where automation software is transforming the way brands approach lead nurturing, by enabling them to handle more leads and drive down the cost of nurturing each one along the buying process.